In May of this year, I was able to travel with Risan Media to Iceland with the support of a Nikwax Environmental Grant. I wanted to travel to Iceland to document parallel scientific research around climate change, renewable energy production and outdoor recreation on glaciers. I had been communicating with Dr. Tomas Johannesson from the Icelandic office of meteorology and I coordinated my trip in May of this year around the annual spring mass balance research by the Icelandic Meteorological Office and Glaciological Society on the Mýrdalsjökull volcanic glacier ice cap. 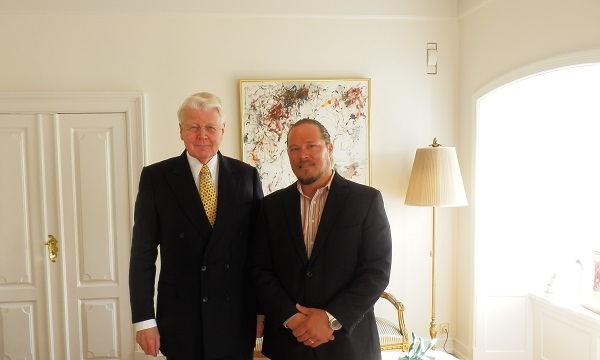 The trip was incredible and I was able to film throughout the country and was afforded a very special opportunity to interview Ólafur Ragnar Grímsson, the President of Iceland. Before heading to Iceland, I also garnered the support of Bergans of Norway, Fitwell, Swany, Sierra Designs, PraNa, Giro, Voile, Mountainsmith and Seagate from the US. I was fortunate enough to gain a sponsorship with SNO Glacier water, the only nitrate free glacier and high in oxygen water from Iceland. I was also able to establish partnerships with some supportive Icelandic companies such as Icelandair, Geysir, Hotel Laxnes, the Blue Lagoon, Einstök, Heydalur, Hotel Hraunsnef, Hotel Isafjordur, Bergmenn Mountain Guides, Húsabakki, Hestar and West Tours. 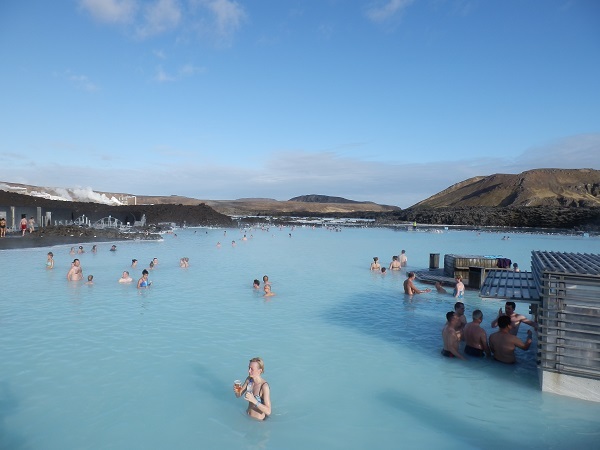 I flew from Denver to Reykjavik, picked up my car rental and headed off to film at the Blue Lagoon geothermal springs. I enjoyed the mineral waters and filmed there and along the southwest coast. 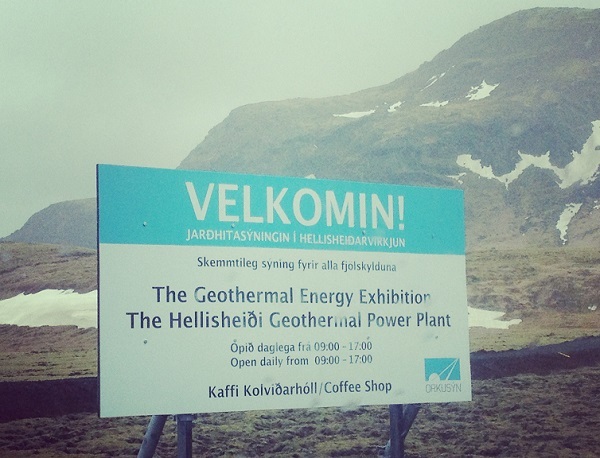 The next day I visited the Hellisheidi geothermal plant for a tour and interview regarding the process and capacity of geothermal energy production there, and was amazed that they are able to heat Reykjavik by piping the hot water to the city. Next up I met with the team of scientists from the Glaciological Society and Meteorological Office. I loaded up the super jeeps on 38” wheels and headed south along the coast. There, the ocean meets farmland with sheep and horses, tall cliffs and waterfalls. We headed up a gravel road north towards the ice cap with three vehicles. Once on snow, the team would deflate the immense tires so that we would have traction as we climbed the almost 1500 meter ice cap that covers the Katla volcano. The team broke into three groups and began conducting research at different locations. The vehicle I was in traversed bumpy snowdrifts following the GPS to the research location that they have visited annually. The team began drilling ice cores into the flat, snow-covered ice cap and carefully measured the cylinders of snow and firn in length and mass in order to calculate density. I had a great time filming on the ice cap and it was suggested that I join a scientist the following day on the neighboring Eyjafjallajökull outlet glacier. The research that day consisted of steam drilling into the ice for ablation poles that are used to calculate glacier ablation/melting and ice velocity. I enjoyed hiking on the ice with crampons and have previously done some steam drilling on the Gulkana glacier in Alaska with a team from UAF, so the technique was familiar. I then drove North mostly along the coastline and travelled along the winding roads of the West Fjords to Heydalur. The historic guesthouse has many horses, a stocked trout pond on the stream that meets the fjord, natural hot springs and an indoor greenhouse. Then I headed to the historic town of Isafjordur, which is situated below steep snow-covered peaks. I was able to interview and enjoy a sea kayaking session with the talented sea kayak guide, Halldór Sveinbjörnsson, in the waters of the inlet there. The following day I arrived at Husabakki near Dalvik and settled in at the hostel to prepare for a day of split boarding from sea to summit with Bergmenn Mountain Guides. We had a group of 8 or so with two guides and skinned up spring corn snow on peaks rising from the ocean outside Akureyri. It was a bit cloudy but the snow was good and thrilling to ride straight down towards the ocean. My last day in Iceland allowed for filming throughout Reykavik and a visit to the presidential residence, Bessastaðir, for an interview with Ólafur Ragnar Grímsson. The President is very intelligent and kind and responded to my questions in great length. I asked him of his youth growing up in Isafjordur, where I had just been. Most of our conversation was focused on his perspectives and initiatives on climate change impacts in Iceland and the Arctic. He discussed his cooperative initiatives between countries of the Arctic and the Himalayan region with these issues. He also elaborated on the concept of the Himalaya as the Third Pole in regards to the volume of ice that, with climate change, is impacting the livelihoods of billions of people. The President established the first Arctic Circle Conference in 2013, which was attended by 1,200 delegates from over 40 countries. He suggested I attend and I registered with Risan Media to attend the conference. It looks like I will have an opportunity to lead a presentation and to show a Risan Media Iceland video at the conference as well!